What is the “Whole” Gospel? Heaven forbid that we preach half a gospel, but what is the whole gospel? Your answer to that question says a lot about your views on the finished work of the cross. For instance, whenever I proclaim the good news of God’s unconditional love as revealed in Jesus, I can just about guarantee that some serious person will pull me up for not preaching the whole gospel. Earn the free gifts of grace?! What an absurd thing to say. It’s like saying, “Now children, pull out your piggy banks because Mommy and Daddy expect you to reimburse us for your Christmas presents.” This is just so ridiculous I’m speechless. How can you compensate God for his priceless gifts? I am a big fan of repentance, but repentance may not be what you think it is. I’m also a big fan of confession, but confession may not be what you think it is either. And turning from sin? Well any time you turn to Jesus you automatically turn from sin. It’s inevitable. The issue is not what you are turning from but Who you are turning to. The Pharisees turned from sin every day but they never turned to Jesus. Turning from sin doesn’t make you righteous, just religious. What is the “whole counsel” of God? Paul told the Ephesians “I have not hesitated to proclaim to you the whole counsel of God” (Acts 20:27). Some translations say, the whole “will” of God. The whole counsel and the whole gospel are the same thing because God’s will is always good news. He is not willing that any perish. He doesn’t want anyone to be lost but desires all of us to come to him to receive new life. The whole counsel of God is the unmixed gospel of his grace. Period. “Just grace? !” says the serious man. Yes, grace and nothing but. Not grace-plus-your-confession, nor grace-plus-your-repentance – just grace. Isn’t that interesting. Those who loved the law rejected God’s counsel. Who else did the Pharisees and law-teachers reject? Jesus (see Mark 8:31)! Indeed, Jesus is the whole counsel of God. If you would preach the counsel, the whole counsel, and nothing but the counsel of God, then preach Jesus and nothing else. He is both the will of God made flesh and the means by which God’s will comes to pass. Jesus is the Good News! If you take all the blessings of God – his love, favor, forgiveness, acceptance, healing, provision, deliverance, etc. – and tell people they must do stuff to merit them, then you are diluting the gospel of grace. You’re preaching a mixed gospel of grace-plus. Grace is no longer the whole gospel; it’s only part of the gospel. Whenever we add things to the gospel of grace we dilute its strength and empty the cross of its saving power. 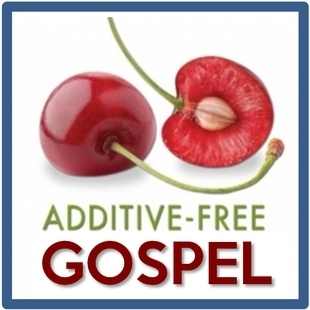 What do these gospel additives look like? I am sure you know them. They are called prayer and fasting, Bible study, the spiritual disciplines, tithes and offerings, Christian duty, the virtues, works of service, ministry, self-sacrifice, helps, missions, outreach, submission, sowing, etc. In the hands of graceless religion these good things become death-dealing burdens. If you think you must do them before God will bless you, you have fallen from grace as hard as any Galatian. Imagine a man crawls out of the desert in desperate thirst and you say to him, “Drink this, it is pure spring water.” That’s good news for the thirsty man. He doesn’t need to do anything except receive what you are offering. But if you ask that man to do something before you give him the drink, then it’s no longer good news. It’s cruel torture. Telling a thirsty man he must pray for an hour before he can drink is not good news. Nor is telling him that he must keep the rules, play the game, and do what he’s told. This isn’t good news; it’s bad news. It’s the religion of this world that derailed the Galatians, the Ephesians, the Laodiceans and thousands of other churches since. And telling him that the drink is free now but he must pay later is no different. In fact it’s worse because you given him a taste of real freedom before binding him with cords of obligation. The good news is that grace is always free and if we drink it daily it’ll change us from the inside-out. You want to see change in your own life and the lives of others? Then follow Paul’s lead and preach the whole gospel of grace adding nothing to it. This emphasis on what we must do before God will bless us is a doctrine of demons. It’s poison in the water. 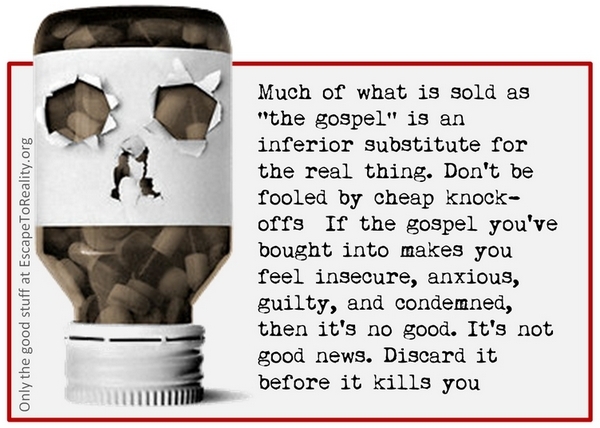 The true gospel is additive-free and it’s grace from start to finish. Look to the cross – God has blessed us already! Look to the empty tomb – the work of saving you is finished! Believe it! Reach out and receive by faith the gift God has already given. If you would preach the whole gospel then preach Christ alone. Trust me, He is all you need. 45 Comments on What is the “Whole” Gospel? You are correct to state that we cannot earn the grace of God otherwise it would not be grace. However, being a recipient of God’s grace brings a revelation of God’s love for us and changes our heart and now we respond out of love for God. We want to honour him and please him, not to earn or pay him back for his abundant grace but because we love him. As soon as we attempt to earn his favour or grace or love we have fallen from grace. Nevertheless, Jesus taught his disciples to forgivefrom their heart those who sin against them. This was not optional but mandatory therefore we must be careful to keep a balance in our teaching and preaching. There are many other similar examples within the teachings of Jesus and therefore we must proclaim the whole counsel of God. As someone who has sat under both teachings there is a great gulf of difference between being taught to forgive others because it’s a good thing to do because it pleases God and the teaching of forgive or God hates your guts and you’re going to burn forever. Grace is without merit or conditions. It’s called fruit…and it just grows. There is no….However. ..to it. amen! amen! amen! when the pharisees rejected Jesus, they literally rejected Grace! Everytime Jesus delivered someone, He gave a command. Go and sin no more, Go and offer the offerings moses commanded, go wash in the pool of solome. Telling us that an act of repentance needs to take place. Every person that I have preached only love to, has fallen away. They have fallen on hard times usually by actions of their own and than blame God and say His love didn’t work for them. He isnt loving. you cannot just preach Jesus and his love, but the cross and him crucified and the reason why. how could we neglect such a great sacrifice. and upon telling them of Christ and Him crucified, how can you not tell them about them being sinners in the need for repentance. It is critical. if not, they will hear the words of Jesus…depart from me I never knew you. That was under law. When is the last time you offered a sacrifice? Traditionally Whole or full gospel means a gospel that focuses on that bit of the gospel that I believe others miss out. Usually it involves an overemphasis on the selected truth and often leaving out other parts that do not suit the message so well. Well, that’s not what they say it means, but it is the reality. That’s a fact Jeremy! The implicit message usually runs as follows: “The whole gospel is what I preach, what you’re not preaching (because you’re ignorant), and what you could preach if you shut up and listen to me.” You are right – people don’t come out and say it, but their patronizing tone reveals it. Such people are usually male, serious, and oh-so-very-grown-up. But hey, Jesus loves them. Much of E2R has felt that way to me. I Don’t know if the Holy Spirit will remind me of this. I know that love keeps no record of wrongs. Thank you for saying what many of us wish to say and can say as we share this awesome good news. We get to poke fun at our former mindsets or the mindsets of the flesh in us. I know that not everyone agrees or listens but we don’t have a monopoly on truth. Truth shines and his name is Jesus. Oh let’s feast then. This is wild! I was thinking about these same things on the way to work and when I checked my email, I saw this post. Thanks for putting it into such clear terms. There is also a big error in the church when it comes to growth that assumes that grace is the baby message and the more “mature” messages, the “meat” or whatever you call it, are messages that beat us up with the law. What this actually does is stunts the growth of believers who start of strong in grace. But Peter tells us we are to “grow in grace and in the knowledge of God”, both of which are Christ-centered, not performance oriented. Anyway, this is such a great confirmation and strengthens my trust the message of grace. Thanks brother! You see the trap is in how humans define the “commands” of Jesus. They usually say it is some long list of actions to perform and bad habits to give up(all gleaned from the gospels of course) in order to recieve redemption and eternal life. 1 John 3:24 & 5:3-5 sums up the commandments of Christ alongside the Gospel. Now Jesus spoke a lot about how we should live(just because it is the right thing to do) but those teachings are not “the” Gospel, or the Good News on how to get right with God. see- John 3:16-17 & 36, 5:24. Everybody knows everything Jesus commanded they just deny it , we have nothing to teach. There was only one teacher it is up to us to find out what he was teaching. Quoted from above “The good news is that grace is always free and if we drink it daily it’ll change us from the inside-out.”. What do you mean by drinking grace daily? Thanks. I mean eating from the Tree of Life (Jesus) as opposed to eating from the other tree (self, law, works of flesh – call it what you will). Just read this for a second time. It blows my mind that Christians would knowingly choose a grace-plus religion over pure amazing GRACE. Ah, the “Ash-tray Gospel” – it’s full of buts. I know it well. I used to preach it. Never again! Beautiful stuff Paul! How strange that we have found ourselves in the midst of a time when those inside the church program would have the greatest reaction to the pure message of grace! All of a sudden this day and time is not too far different than the day in which Jesus walked the earth! His sermon on the mountain takes on new meaning and life in light of our time – who really can experience the kingdom? who will really receive comfort? who will be satisfied? who will be persecuted? Those who know they are blessed by grace through faith! Sounds good to me Karin! I have been in many full gospel churches and every one of them tell you that you should not rob God of his tithes. They don’t realize that they just fell from Grace and Christ came off the cross for them. Sad that this is where you get that age old statement (all they want is your money). I have been following internet posts of this “Gospel Of Grace” with great interest. I am also in a church where this has been implemented for over 2 years now. I am on the verge of leaving this church with my family because of the results I see brought about by this change in the church’s direction. I am open, and at the moment I am of the opinion that the “Gospel Of Grace” is based on misinterpretations and partial reading of scripture. I deleted the second half of your comment because it expressly violated E2R’s comment policy. If you have questions about specific aspects of the gospel, there are two ways to raise them. (1) Find a post on the subject in the archives – if that post doesn’t answer your question raise it in the comments underneath. (2) Post your question on E2R’s FB page and hope that somebody provides an answer. Thank. How Refreshing!…I praise God for like minded brethren! I’ve subscribed & i’m new to blogging etc. I’ve been ‘seeking the kingdom first’ for years under all sorts of teaching, and just trusting in God. Not realizing completely that keeping my eyes on Him alone would bring me into this marvelous grace in which i now stand! Beholding Him is truly amazing. Oh how He loves us! I have only recently understood God’s complete grace. I thought I did before, but didn’t. I’m overwhelmed with love. I have been excitedly examining the Bible through the eyes of grace. I’ve had a lot of different questions and have been surprised how many verses in the Bible have completely different meanings when grace turns from a one time thing at salvation to something that is yours to claim every day. Now we think we know where to begin in finding a church that preaches the full gospel and have been looking for phrases like New Covenant Grace, New Covenant…then we found a few, but along with that phrase they have also mentioned Calvinism. My first reaction was “Nope. Not happening.” I studied TULIP in Bible College, and had hours of debates with other students on the matter. That was several years ago. I established I did not believe in Calvinism, but free will and haven’t looked at it since. I looked for Calvinism in the archives. Can anybody explain how the full Gospel and Calvinism do or do not combine? What happens to free will? 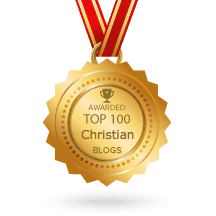 You should know if you’re going to respond to my questions, that I agree with everything I’ve read so far in Paul Ellis’ blogs and thank God his writings helped me see God for who he is. I’m not one of so many that seems to be here just to criticize and push legalism and redefine grace in a more condemning way. My problem with the Calvinistic is the P and their belief in experimental predestination, or only knowing the outcome at the end. There is a contradiction although they give the impression that there is a denial of works, there is a commitment to keeping the law disguised very carefully.Works of the devil is referred to, and evidence of no works of the devil is proof of salvation. Continuing in well doing etc.We do not receive salvation by grace and lose it to the law..
Predestination refers to that the Gentiles were going to receive the gift of salvation also. It is a plural thing, not an individual choosing. Andrew Farley has a great teaching on this. Paul, since I have found your site, I have read a lot mentioned about old law vs. new law, since the discovery of ETR I am interested in studying the bible more, I recently find that there are bibles out there that are not accurate. For example I received a bible from a friend The New Living Bible, and recently ready alont with the NLV, the NIV version is not reccommended, because they take leave out critical words and phrazes to make the bible more easy to ready and in doing so remove important aspect of the bible, here are a few examples from a site I googled to find out what translation would be the best to study which of course are not from the NLV OR NIV, but examples of two different versions, as you will see. Every translated Bible is inaccurate. That’s why it’s good to have access to a variety of translations and a program like e-Sword which gives you Hebrew and Greek definitions at the click of a mouse. Amen Saint Paul. . . . “Every translated Bible is inaccurate”. I heard Jim Richards teach on this recently. He indicated that the KJV was translated at the end of the inquisition which really means that the translators were under pressure by the religious church with their established doctrines in place. Hence the fear of the translators was present to make the KJV conform to the church’s established doctrines for fear of being slowly bbq’d alive or some other form of “purgatory” (slow torture basically, being careful not to spill your blood for some reason). Even though not complete yet (and obviously inaccurate!) I am really starting to like and appreciate The Passion Translation. Any interaction yet with the TPT? I think the whole gospel is so full of Jesus that there’s no room for anything else. At the end of it all, it’s not about what you know. It’s who you know. Hi Cookie, a good question but it doesn’t belong under this post. Feel free to post general questions on E2R’s FB page. Sin isn’t what you think it is! Sin isn’t an act, but a state of mind. Condemnation, fear, guilt, shame and pride are all sin. A person who turns to Jesus doesn’t automatically turn from acting out the old lifestyle from time to time. But a person who turns to Jesus will absolutely have a change of mind. John 8:11 Jesus said: Neither do I condemn thee go and sin no more. Its clear to me that He’s telling us that condemnation is sin and because He doesn’t condemn us we can’t sin anymore. Romans 8:1 There is therefore now no condemnation to those who are in Christ Jesus. Grace is a confession – we just confessed a ton of stuff about grace in this article alone. We do NOT add confession of sin. We do add confession of righteousness, joy, peace, Jesus, etc. Grace is awesome when NOT mixed with law, sin and inferiority. Grace is bizarre when not mixed with all the free gifts of Joy, Faith, Righteousness, Divine Nature, Wisdom, Miracles, Healing, Peace… etc. Confess the good stuff. Have you righteousnessed today? The Holy Spirit led me to scriptures I hadn’t seen before encourging work. Paul’s admonition in Galatians is very strong however. The solution is the work of God. Simply believing on Jesus and letting grace change you.